Home Revenues What is a Debit Note? 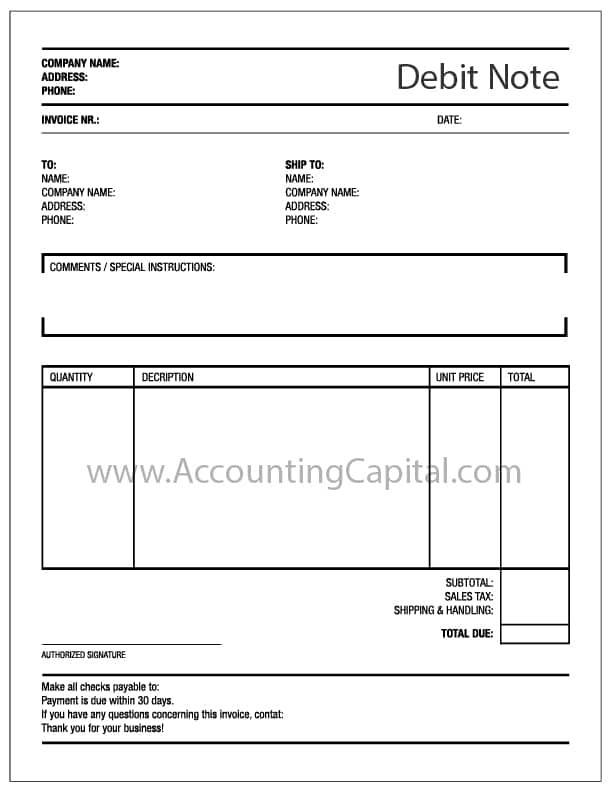 A debit note is a document sent by a buyer to its seller, or in other words, a purchaser to its vendor while returning goods received on credit. The intent is to notify the seller that they’ve been debited by the buyer against the goods returned. It reduces the amount due to be paid to the seller, (if the amount due is Nil) then it allows further purchases on behalf of that. A debit note is issued for the value of the goods returned. In some cases, sellers are seen sending debit notes which should be treated as just another invoice. Example – Company-A buys goods worth 1,00,000 from Company-B, however, 10,000 worth of goods were found damaged due to some reason & this was notified to Company-B at the time of actual delivery. Company-A (buyer) issues a debit note for 10,000 in the name of Company-B (seller). This reduces the obligation of the buyer by 10,000 and is now only required to pay 90,000. 1. It is sent to inform about the debit made on the account of the seller along with the reasons mentioned in it. 3. It is usually used by the buyer to return goods on credit. 4. It is generally prepared like a regular invoice and shows a positive amount. Current liability decreases as payables against credit purchase reduce. Expense decreases as credit purchases reduce. Revenue decreases as credit sales reduce. Current assets decrease as receivables against credit sales reduce.